Our Computer stress ball is the perfect promotion to have custom imprinted for industry shows. 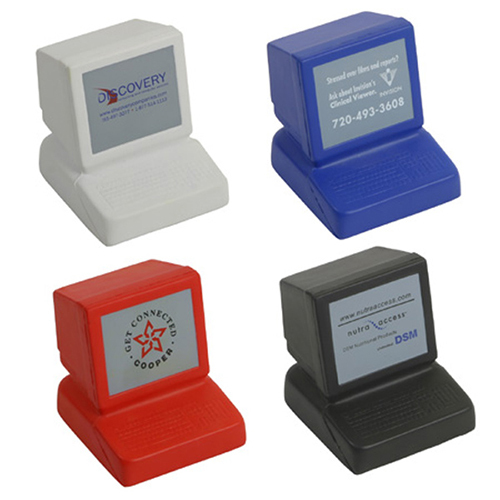 You can put your message on a computer stress reliever and hand them out at school events, product introductions and special events. Computers are part of everyone business and personal life and these computer stress balls are a universal symbol. Item Size : 2-3/4" x 2-7/8" x 2-3/4"